Dimensions 1 by 5.50 by 6.50 in. The classic novel of primitive savagery and survival depicts the degeneration of a group of schoolboys marooned on a desert island. Read by the author. Book available. 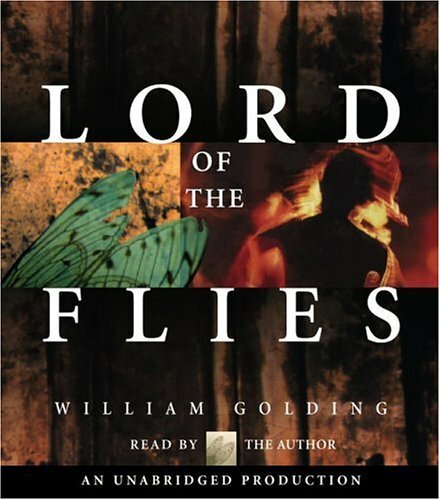 Amazon.com description: Product Description: William Golding's classic novel of primitive savagery and survival is one of the most vividly realized and riveting works in modern fiction. The tale begins after a plane wreck deposits a group of English school boys, aged six to twelve on an isolated tropical island. Their struggle to survive and impose order quickly evolves from a battle against nature into a battle against their own primitive instincts. Golding's portrayal of the collapse of social order into chaos draws the fine line between innocence and savagery.